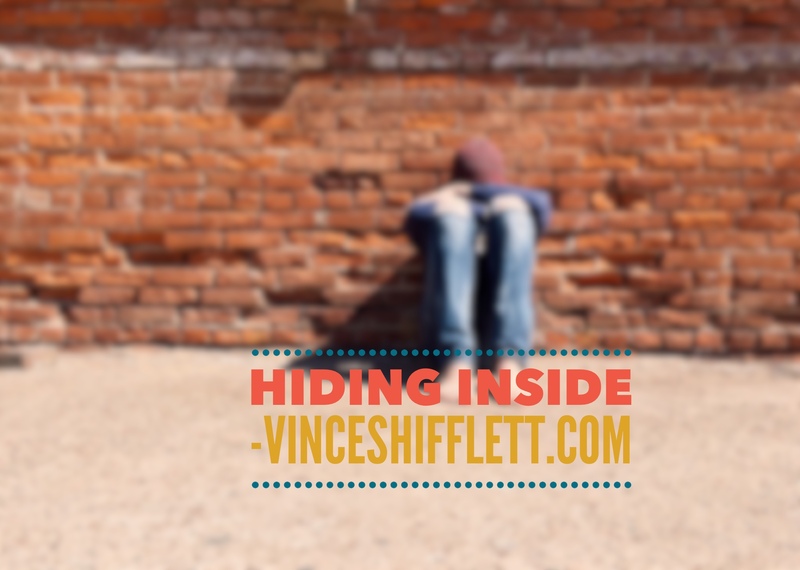 Hiding inside, withdrawing, or closing down seem to be the most prevalent responses to an uncomfortable situation, person, or thought. It is almost as if it is the normal response. Uncomfortable situations or people are outside forces yet I frequently find myself allowing them to over power my inner force. Over-Power? Yes, at times it feels like a battle between hiding inside and opening up to let the energy flow. In the past I have found myself upset with a family member, co-worker, friend or situation. Instead of letting it go, I chose to hang on to it and keep it inside. I allowed myself to shut down from that person or situation and instead carry that frustration with me. I discovered that by avoiding the uncomfortable situation or person, I was creating a blockage of beautiful energy. I was essentially hiding inside and not dealing with the root cause of the problem. Me. I was the root cause of the problem. The root cause of any uncomfortable person or situation lies within one’s self. Shutting down and choosing not to speak to that person, or express loving energy to that person, is not a solution that brings us peace. Deep inside we are hiding. We are carrying it around with us. We have chosen to not let it go. Avoiding it is not letting it go. I am discovering more everyday that, when I hide inside, withdraw, or shut down, I block the light. I block the beautiful energy from entering in. Guess what? Without energy we die. Without energy we would have no light. Don’t pay your power bill and get your electricity shut off as a result. Pretty dark, huh. When I raise my shades early in the morning, I am renewed with the light of a new day. I feel an enormous sense of gratitude to be blessed enough to see that beautiful light. Wow, what a privilege. I could just as easily complain because that it is morning and I have to go to work, which I am guilty of at times. I could choose to hide inside and not open up to the light when the shades are raised. It is an incredible choice, available to all. Hiding inside is a protective mechanism. Although many of these outside forces that cause me to hide inside do not present physical danger, they cause me stress, anxiety, fear and a myriad of other emotions that I just do not want to deal with. I immediately shut down and hide inside to protect myself. In other words, I have the electricity turned off and I choose to remain in the dark. Because I am scared, stressed, or uncomfortable, I choose to keep the shades to my heart and mind pulled and not let the light in. Let’s all make the choice to raise our shades today. Let the beautiful light illuminate our spirits. Let the beautiful light brighten our path. Together, let us make a choice to not hide within but instead flourish in the beauty like flowers flourish and grow in the light. Let go, stay open, and love. That energy will come back to you. Well said Vincent. Very deep and inspiring. At the Moment that we let that light shine on our darkness, we reflect that light to those who are around us. We become the light house in someone else’s storm. It is that light that will eventually lead the world from the darkness one reflection at a time. Just remember, there is no Darkness, only the absence of light. I needed to read this on today. Because I have been dealing with this subject for the past several months in my professional life. And I have noticed small changes in how my energy has shifted and I how feel as if my inner light has dimmed because of the emotional, mental and spiritual challenges I face in dealing with these difficult individuals. I have worked hard on the last several years to show up intentionally and purposely being light in this challenging world in which we live, giving love expecting nothing in return and not allowing negative energy to overtake me. Today I reaffirm who I am and who I am called to be in this world focusing on not allowing others to rob me of my personal power and inner strength. I will push beyond my discomfort and show them love and give them positive energy at all times… We grow by pushing beyond our discomfort.. It’s time to GROW!